Turns out, 2015 was a great year for OurCrowd’s first fund! 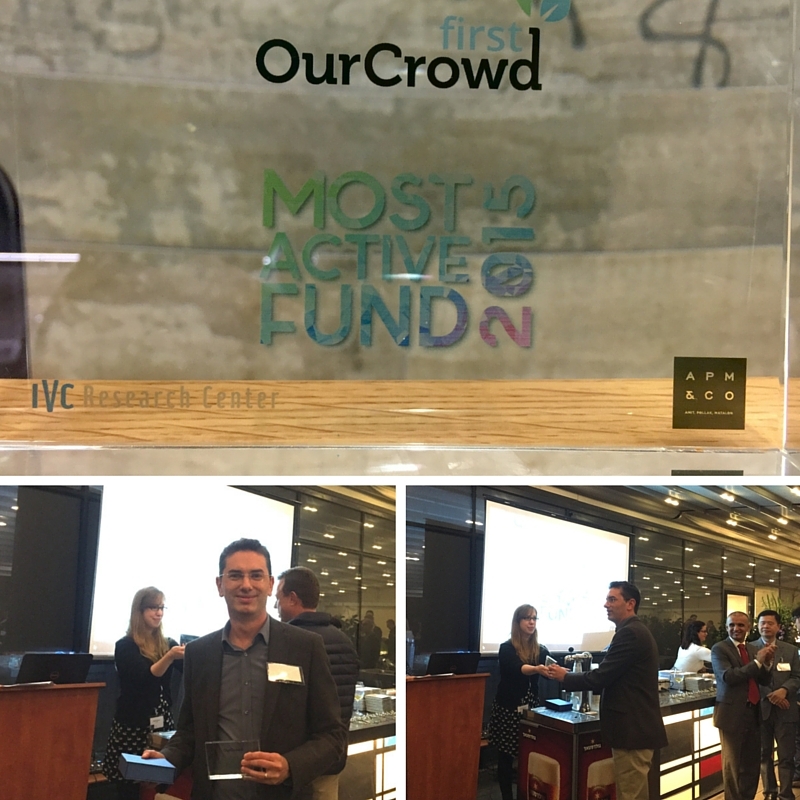 We are proud to announce that OurCrowd First, OurCrowd’s seed fund for investing in early-stage Israeli and global ventures, has been named Israel’s most active micro venture capital fund in 2015, according to the latest IVC-APM report by the IVC Research Center and APM & Co. Law Firm. Managed by serial entrepreneurs Eduardo Shoval and Yori Nelken, OurCrowd First takes a hands-on investment approach, leveraging the rich startup experience of its General Partners to provide meaningful, substantial guidance to our portfolio companies. The report analyzed the most active venture capital funds according to the number of early stage investments made in Israeli companies during 2015. OurCrowd First topped the list with seven first investments from its 2015 $10M fund. To date, OurCrowd First has built a highly diversified portfolio of 10 carefully vetted early-stage companies.